48" 3 blade mowing deck (recently repainted). 32" turning radius, rear tires new in 1995. Everything works great! system (oil pump vs static bath) Brand new battery. Oil and filter changed every 50-60 hrs of use. Lubed every spring before mowing season. 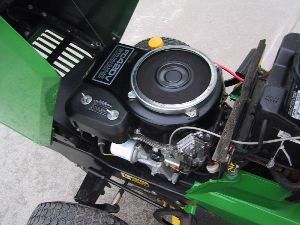 I have recently purchased a John Deere 425 AWS garden tractor w/ 60" deck, so I need to sell this machine. a Harley or a Martin guitar. 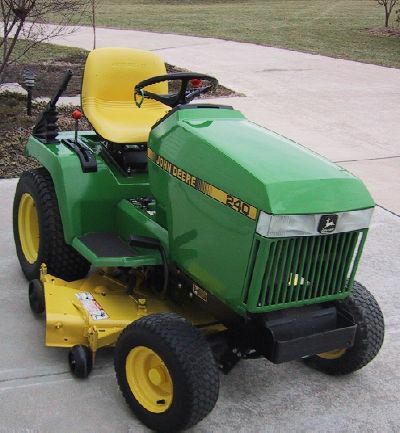 I love my dear Deere.